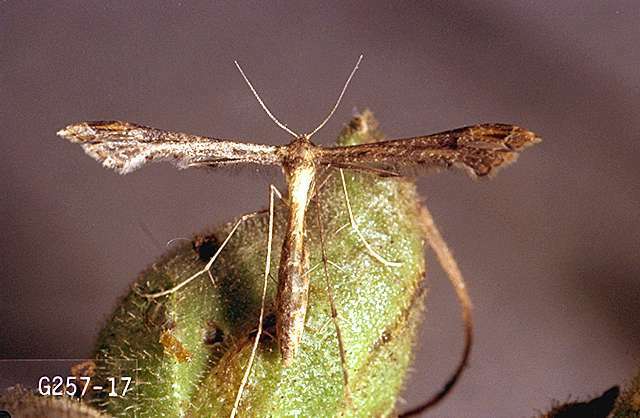 Pest description and damage Adult is a grayish to tan T-shaped moth with slender, plumed wings and a 0.5 inch wingspread. 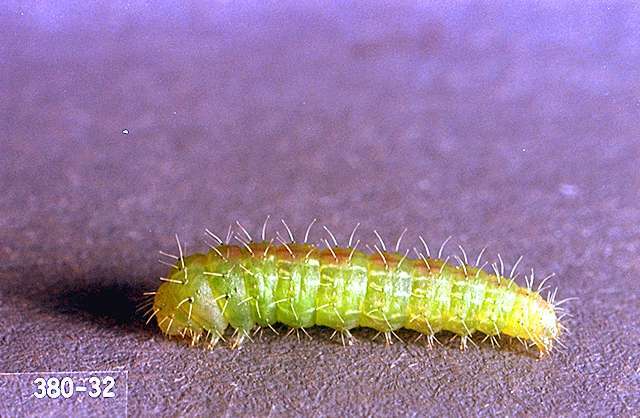 The small greenish larvae are about 0.5 inch long when mature. The larvae initially mine leaves. 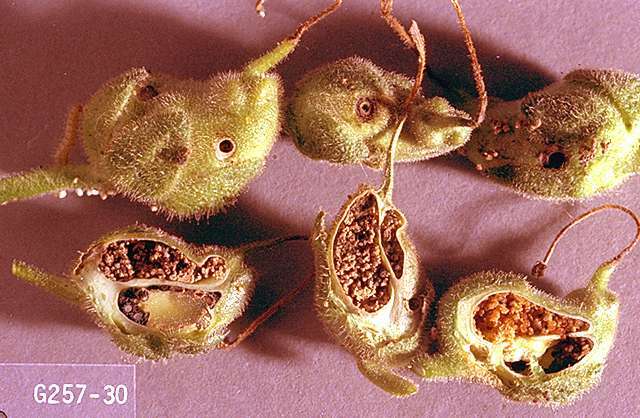 Later, they feed on terminal leaves and bore into developing flowers and inside the stems. Biology and life history The insect usually overwinters as an adult. 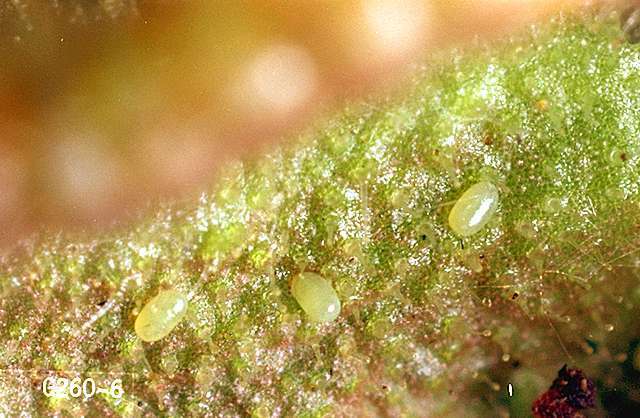 In the spring, the eggs usually are laid on newly forming flowers or on the underside of leaves of terminal young growth. Hatching occurs in 2 to 3 weeks. Young larvae mine in leaves and later burrow into the stem, petioles, flowers, or seed pods. It takes 3 to 5 weeks for the larvae to develop through four instars. The caterpillars form pupae that hang upside down on the plant. The adults are weak fliers and usually remain on or near the host plant. The moths are most active during the early evening and found hanging around porchlights in the early morning.